Chigasaki Style: Enoshima on a Giant. Hope everyone had a Happy Halloween, as we are into November, already! 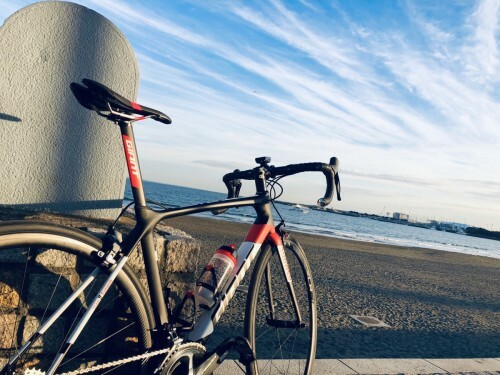 I took a quick ride to Enoshima, about a 10 KM ride from Chigasaki to enjoy a nice sunny day, with deep blue skies, autumn clouds, and the Shonan sunset. 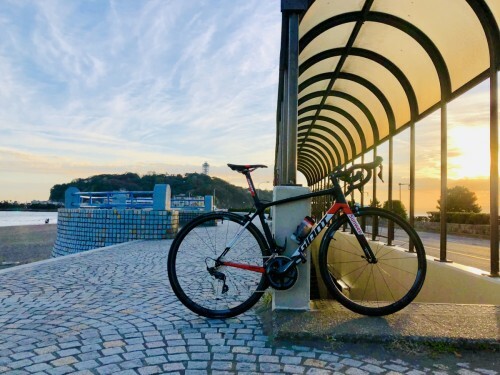 I rode my Giant TCR Advanced Pro Team colors, to the Enoshima seaside. 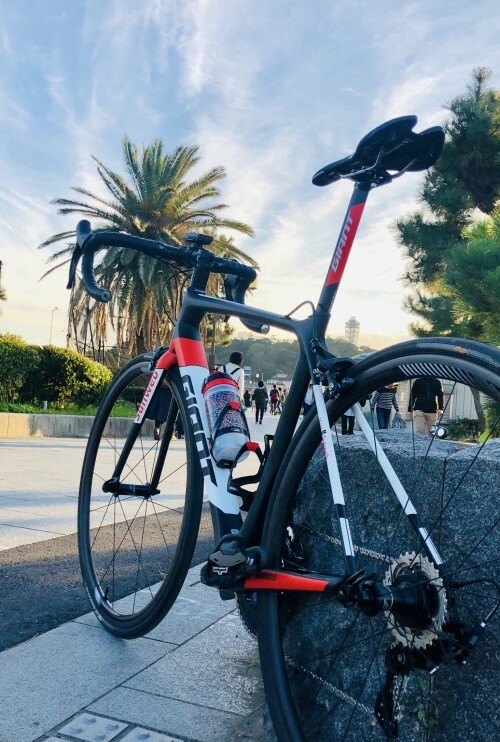 The TCR Advanced Pro is an Advanced Grade Composite carbon frame, with Ultegra components, Giant SLR 42 Carbon wheels, Giant Gavia AC 1 tubeless tires, pro spec advanced grade forks and Variant Composite seat pillar, to make an incredibly responsive and lightweight bike, at just over 7 KG, for 350000 yen plus TAX. 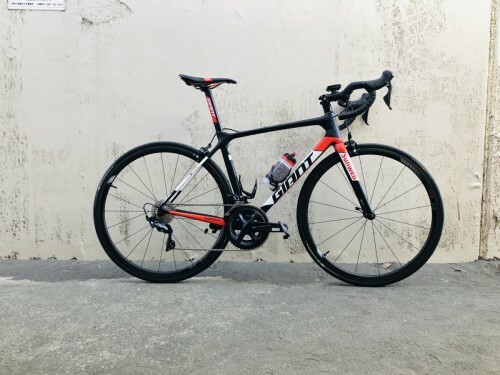 We have another TCR Advanced Pro currently in stock, at Chigasaki Y’s Road, it’s a size S.
Researching a lot of bicycles, I found this particular bicycle to suit my needs and budget for a top flight bicycle at a price which defies the high value of this racing frame plus Ultegra components. 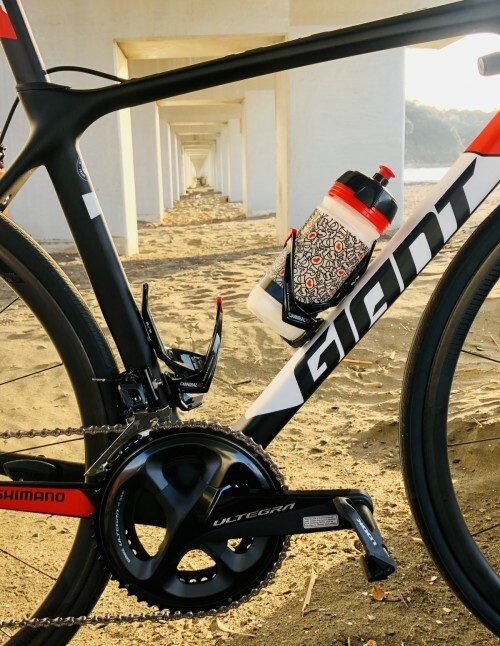 I’m not sure there is a more cost efficient, elite bicycle on the market, and it is a beautiful look, made famous by Team Sunweb and Tom Domoulin, runner up in both the Giro D’Italia and Tour De France, while being the 2017 World Time Trial Champion and winner of the Giro. For myself, it is the first carbon bicycle I’ve owned, and ridden. WOW!! 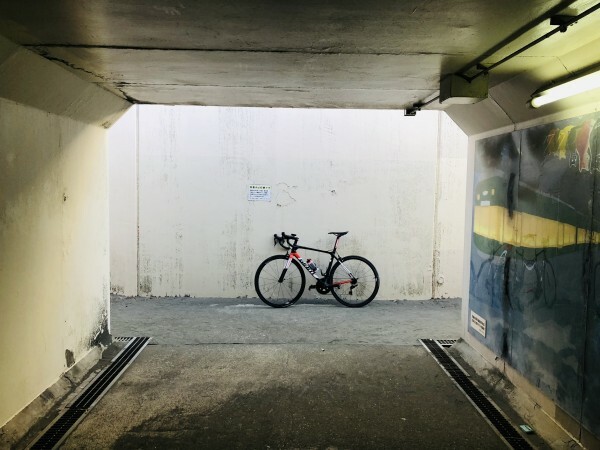 It’s a fast bicycle, with crisp response, and comfortable ride, I couldn’t imagine before I got on. When one rides a carbon bicycle, after riding a chrome bicycle, it is a revelation. A new beginning that excites and expands one’s life. It’s difficult to put into words just how wonderful the Advanced Pro feels. For me, it surpasses everything I thought it might be as a lightweight, top ride. Obviously, I’m not Tom Dumoulin, but I can dream, and get on a carbon Giant that makes me feel, just a little bit, like a champion! To make it even more wonderful is to combine it with the exhilaration of riding in the perfect skies of early November. To ride bicycles on the Shonan coastline, and feel the ocean breeze on a warm day is the perfect day, to be alive. Enoshima on an autumn day, with the clouds, lining up, as if painted by an artist, is such a sight to see and experience, particularly on a bicycle ride to enjoy not only the destination, but the getting there, as well. 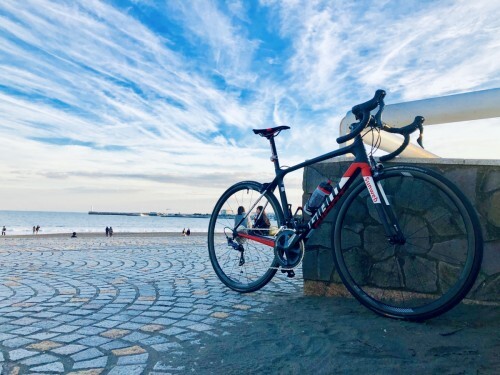 If you’d like to see the Giant, or any other of our fine line of road bicycles and accessories, please stop by our store at Southern Beach, in Chigasaki, and enjoy the ocean views!